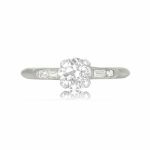 A beautiful antique diamond, flanked by two smaller diamonds and set within a beautifully handcrafted platinum mounting. 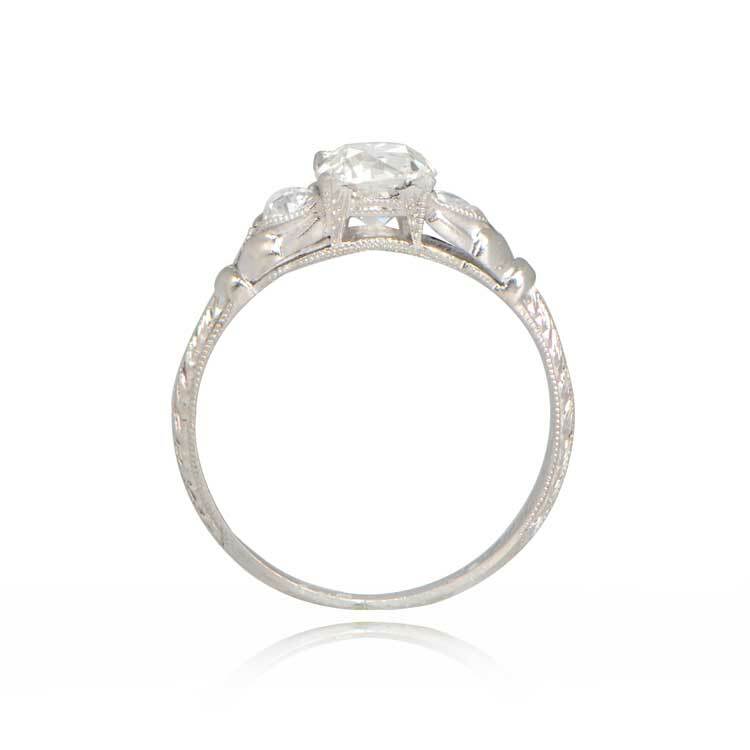 Square-prongs hold the antique diamond that is adorned with milgrain. The shank is decorated with delicate hand-engravings. 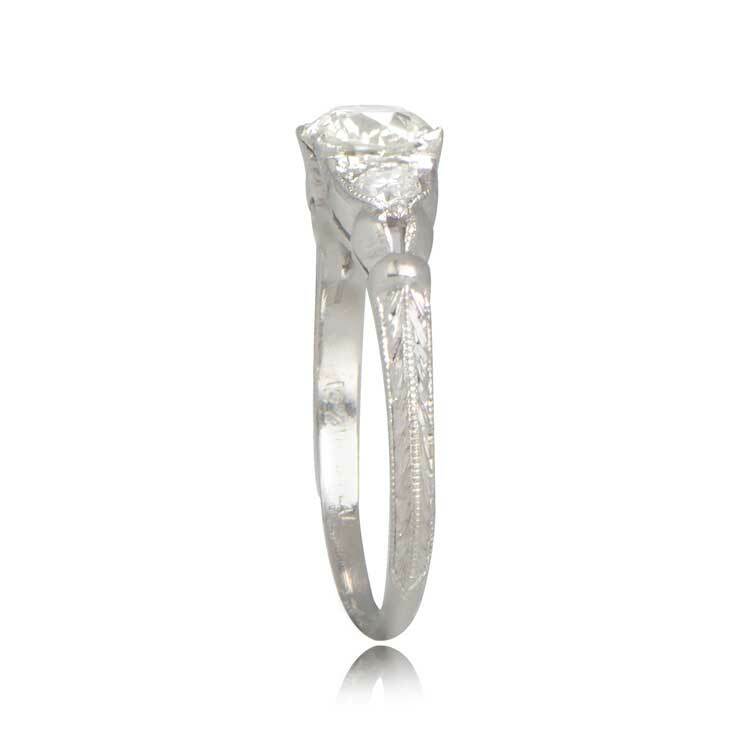 The center diamond ss an 0.77 carats old European cut diamond, L color, and VS2 clarity. 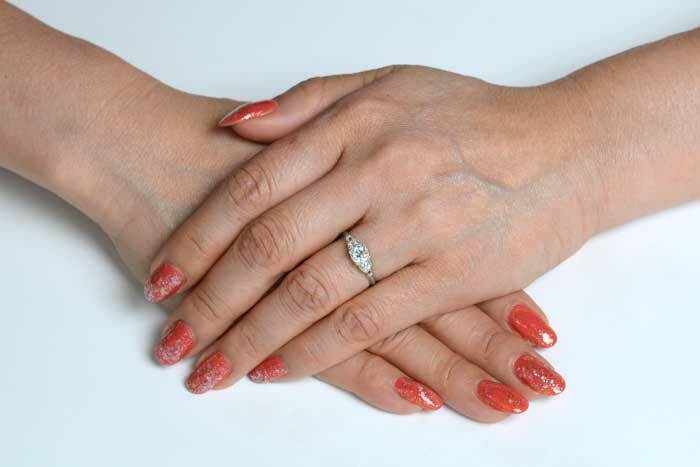 The total approximate weight of the side diamonds is 0.20 carats. 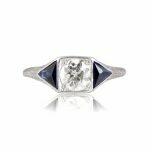 If you have any questions about our Brent ring, please feel free to contact us. 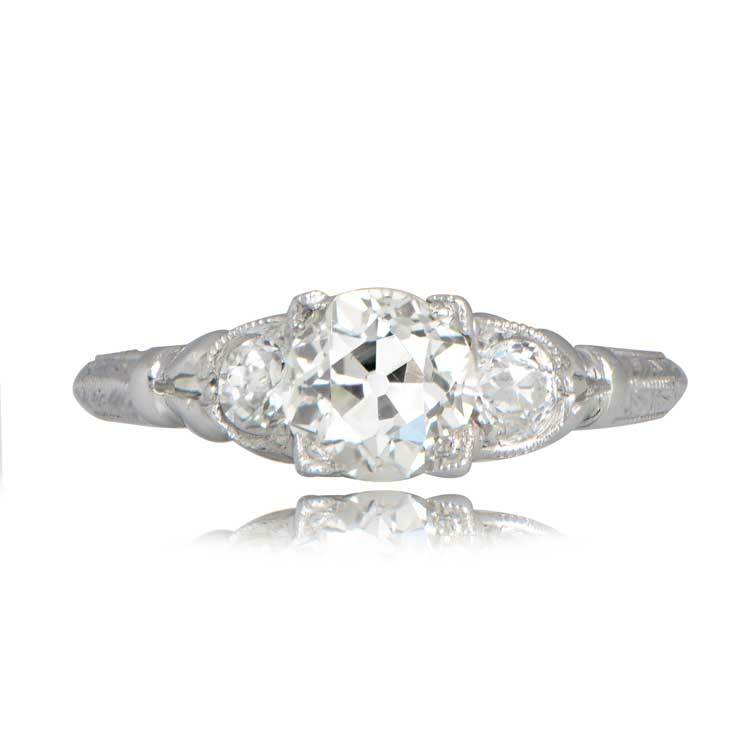 SKU: 11957 Categories: Old European Engagement Rings, Old Mine Engagement Rings, Vintage Engagement Rings - Contact us and request additional pictures.